It's time for another ingredient-based Instagram collaboration project, y'all! Again, I'm honored to share space and ideas with tremendous chefs and bakers who are all presenting recipes with a common ingredient. This go 'round, our common ingredient is the crowd-pleasing strawberry! As always, many thanks to Square Meal Round Table and What's Annie Eating for organizing this fun collab. Be sure to check out the other recipes at the bottom of this post or check out #strawberriesarethejam on Instagram. This recipe is relatively simple and comes together quickly once you have the ingredients gathered, but you have to budget adequate cooling time so everything sets up nicely. I recommend making the panna cotta one evening and letting it chill overnight in the fridge, then adding the jelly the next day, giving it at least 4 hours to chill before serving. This dessert looks impressive with minimal effort (read: I'm lazy! ), and it's sure to please on a warm day. Plus you can make this ahead of time and spend more time with guests than fussing over a hot oven. Win win win. If you are going for the slanty look I used, line a muffin tin with a kitchen towel and place your serving dishes in them at an angle. Sprinkle the gelatin on top of the water in a small microwaveable bowl and let sit for 1 minute. Heat in 10-15 second intervals in the microwave, stirring with a fork between heating, until the gelatin dissolves. Set aside. 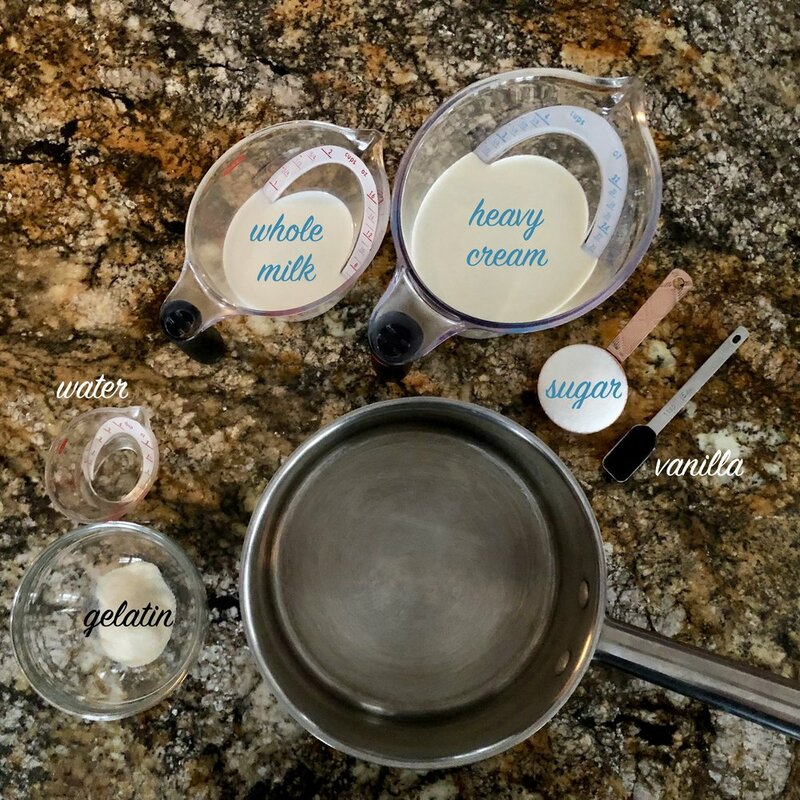 Combine the heavy cream, milk, and sugar in a large saucepan and heat over medium-high heat until just boiling. Remove from the heat and stir in the gelatin and vanilla. Pour into a container with a spout for easy pouring into your ramekins or serving containers. Cool in the refrigerator for at least 4 hours, preferably overnight. Puree about 2 cups of strawberries with a food processor and pour into a medium bowl. Sprinkle the gelatin on top of the strawberries and let sit for 5 minutes. Stir for about 1 minute. Add the sugar and hot water. Stir until gelatin dissolved. Pour the strawberry mixture into a container with a spout for easy pouring into your ramekins or serving containers. Refrigerate the panna cottas until ready to serve. Be sure to check out these amazing recipes in our strawberry party!